Transform your kitchen with brand-new cabinets. 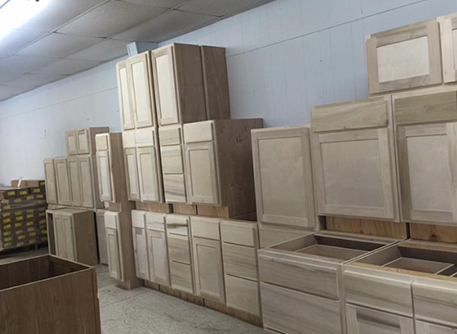 Snead Wholesale sells kitchen cabinets and vanities to customers in Huntsville, Alabama, and throughout the Southeast. We also have a great selection of flooring and doors for both residential and commercial properties. A furniture-style vanity adds class and character to any room. We offer a wide range of styles to blend in with your existing decor or make a bold design statement. Choose from special features, such as marble tops, to make your vanity truly distinctive. Rediscover the joy of cooking in a beautifully remodeled kitchen. We provide Shaker style cabinets that you're sure to love. Our selection includes a range of sizes, from 2' to 6', and our furniture-style models feature soft-close drawers with full extension rails. Cabinets are sold unfinished, so you can paint or stain them to achieve the perfect look. 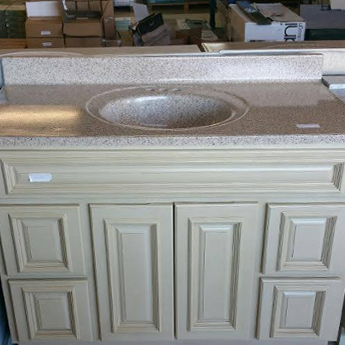 Contact us for more information about finishing your cabinets.